So, I've been making bags this week. Big and small, sturdy and light. 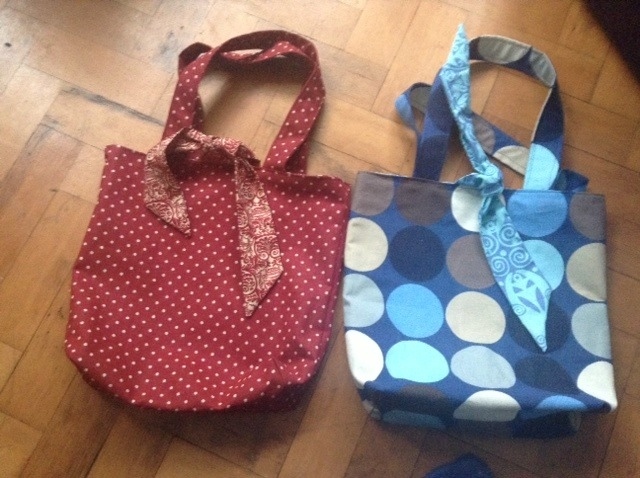 I have always had a penchant for sewing bags on my sewing machine and sometimes finishing them off by hand so when I came up with an idea last week I just went with the flow. 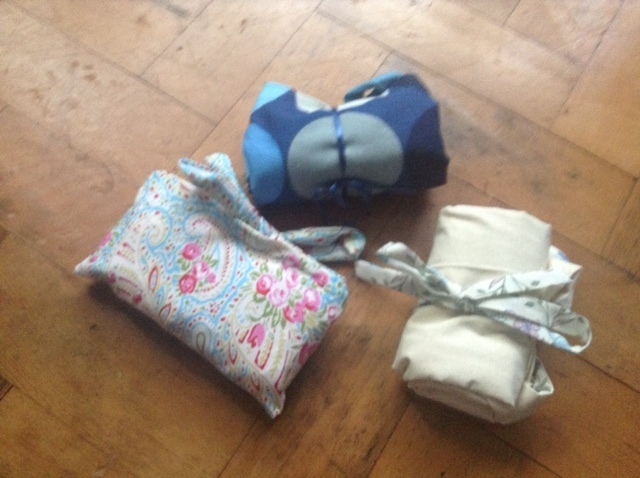 I was so impressed with the finished articles that I even went out and bought myself some new fabric!!! My favourites are difficult to decide. I have created pouches for thin cotton bags, with printed cottons of all colours and designs ideal for stashing in the car or handbag for an impromptu shopping moment. 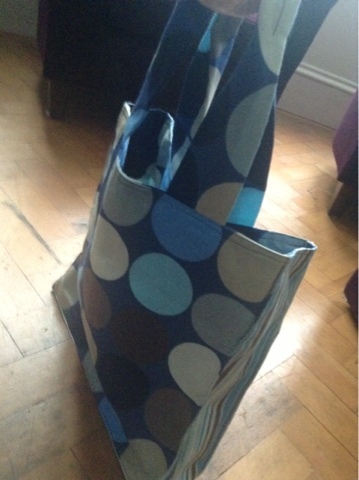 Also made some sturdy bags with sides and a base, for when when extra strength is needed. These I made from upholstery fabric with a contrasting cotton lining. 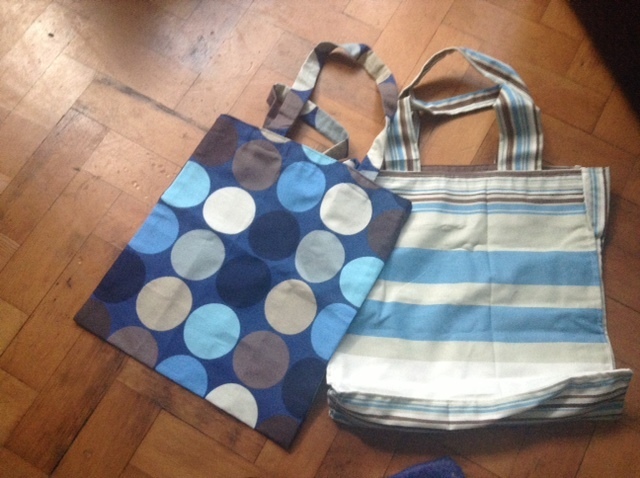 The bags I have made which are more suitable to use as a handbag are small totes which are reversible. One side and the handles are upholstery fabric and the other side and the tie is made from a contrasting cotton.